Unless any of you have been walking around with your head in the sand, you will not fail to have noticed that this year we are celebrating the 25th year of the NNNG. 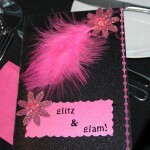 The two-day conference, which took place in Manchester, celebrated this milestone with the theme of Glitz and Glamour. In the run up to the conference there were worries within the committee, that due to the current financial constraints, delegate numbers would not be as high as previous years. However, two weeks before conference there were 123 people, including delegates, industry and speakers registered for day one, and 111 for day two. On booking into the hotel there was some confusion as to whether we were there for the Take That concert or the NNNG conference – a tough choice! 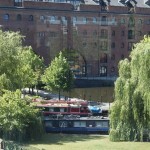 The Castlefield Rooms, situated alongside the canal, set a picturesque setting. The venue itself was perfectly suited to what we wanted for the conference and the staff couldn’t do enough to ensure everything went smoothly.